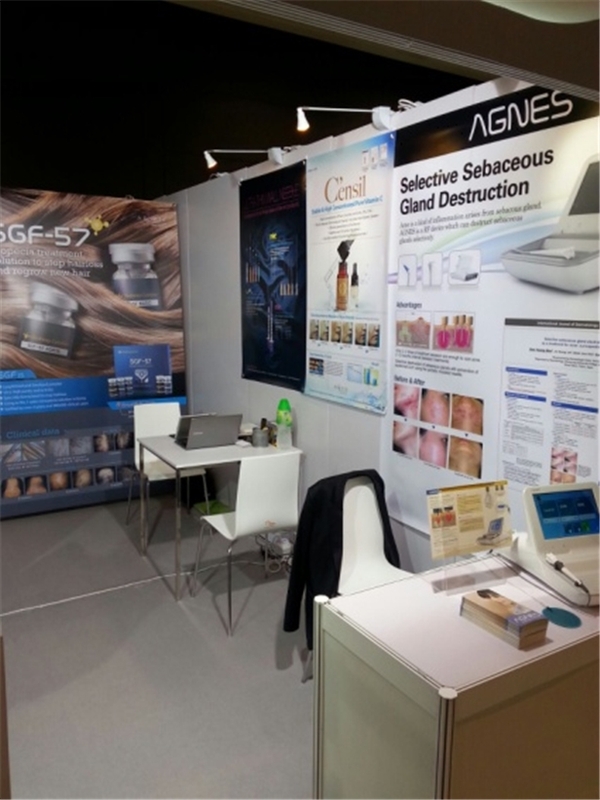 Grand Aespio, one of the leading company over 25 years in Korean aesthetic medicine field, said that they introduced their various products including LFL(Lead Fine Lift), one of the PDO(Polydioxanone), in ‘COSMOPROF HONGKONG 2013’. 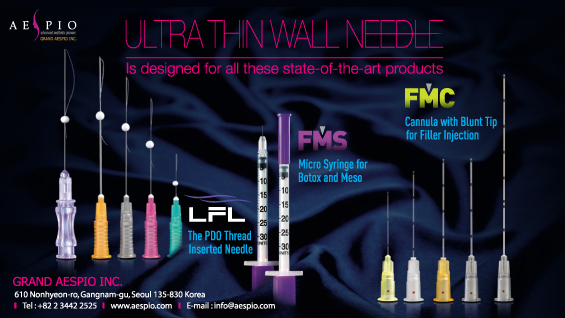 LFL is Ultra thin wall needle. 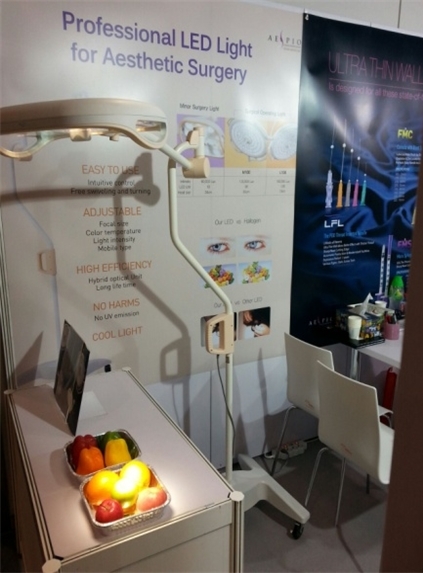 It is wide inner diameter compared to narrow outer diameter makes big size of PDO be inserted into the needle. Cutting edge is sharp and neat by special grinding & honing technology. And special coating with less resistance makes needle be inserted into the skin smoothly. Also it is manufactured at clean and good facilities so it has high-quality and gained popularity from many foreign buyers and doctors. Recently, Grand Aespio launched LFL Bard, which has mono-directional or bi-directional cog, gives immediate lifting effect and LFL screw, which has more powerful intensive lifting effect.